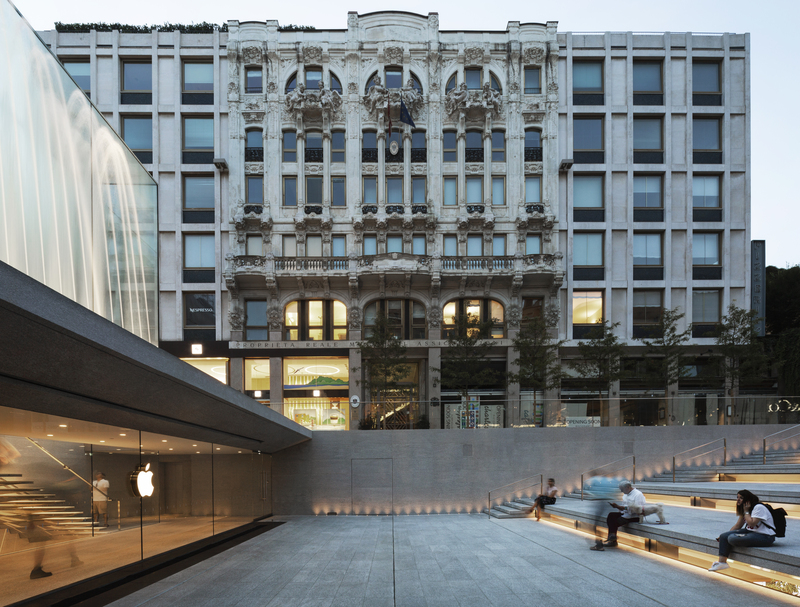 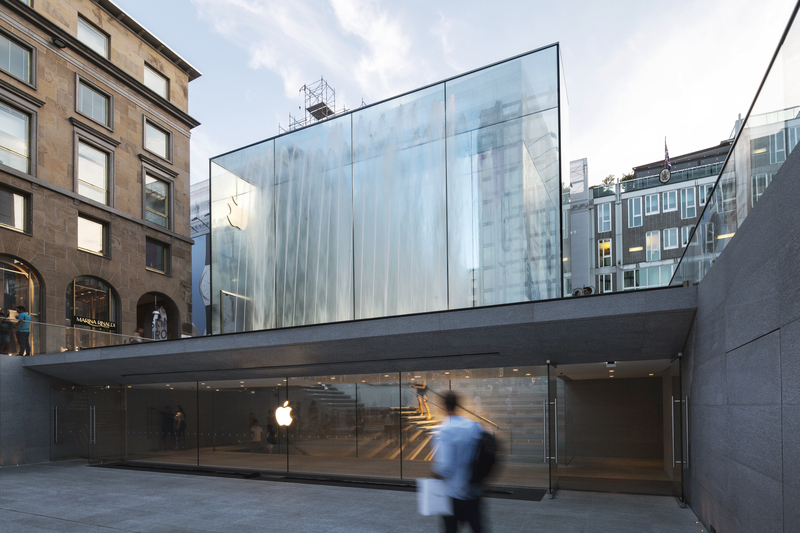 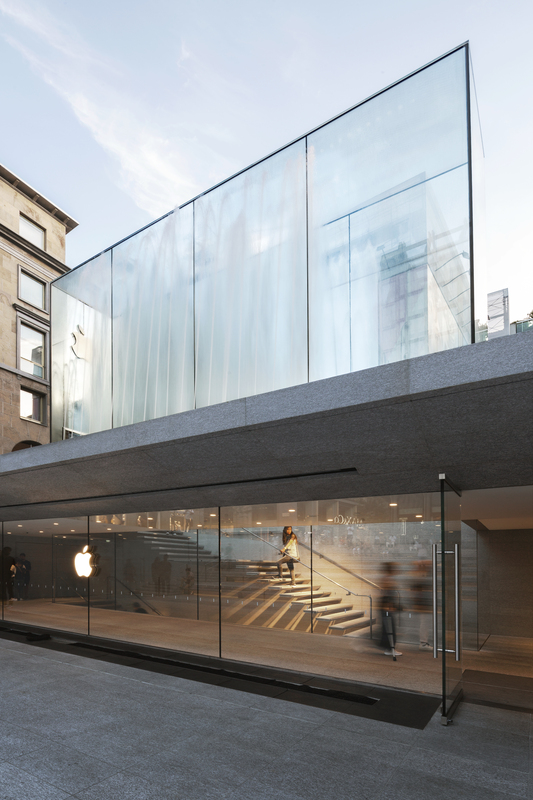 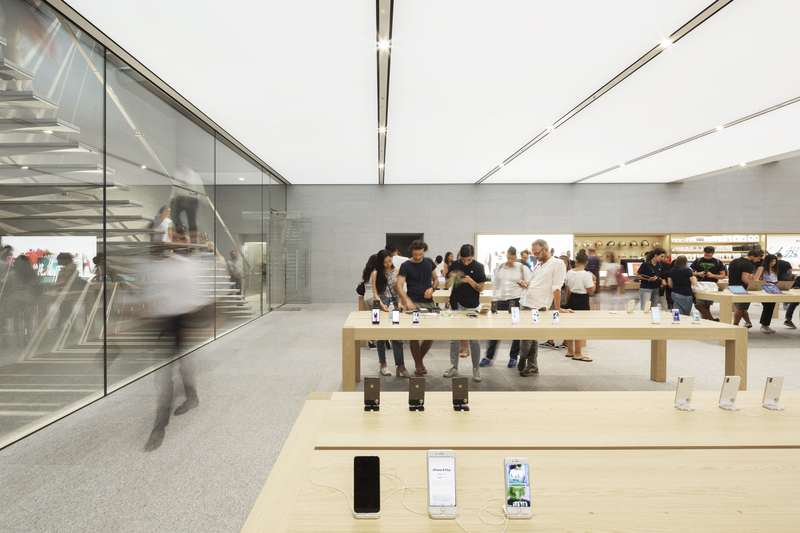 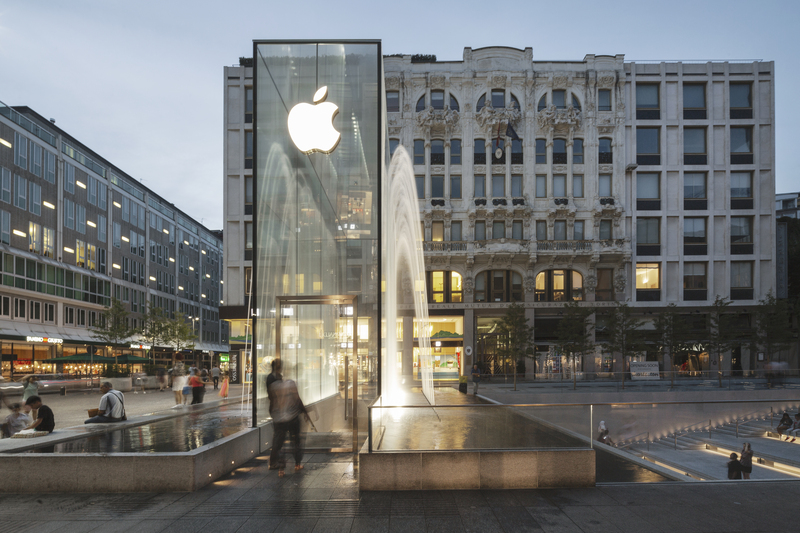 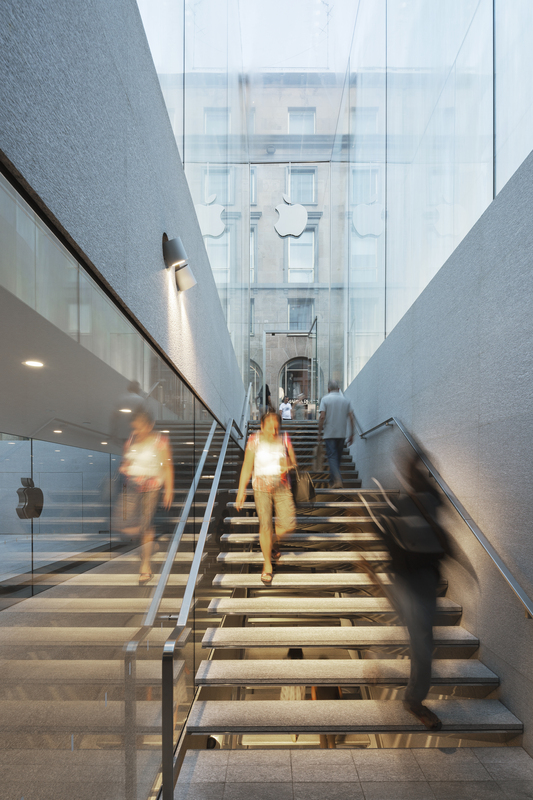 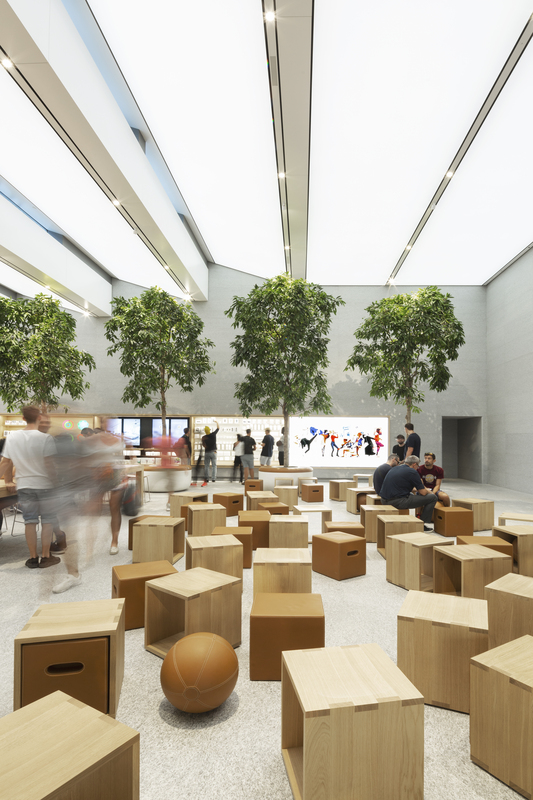 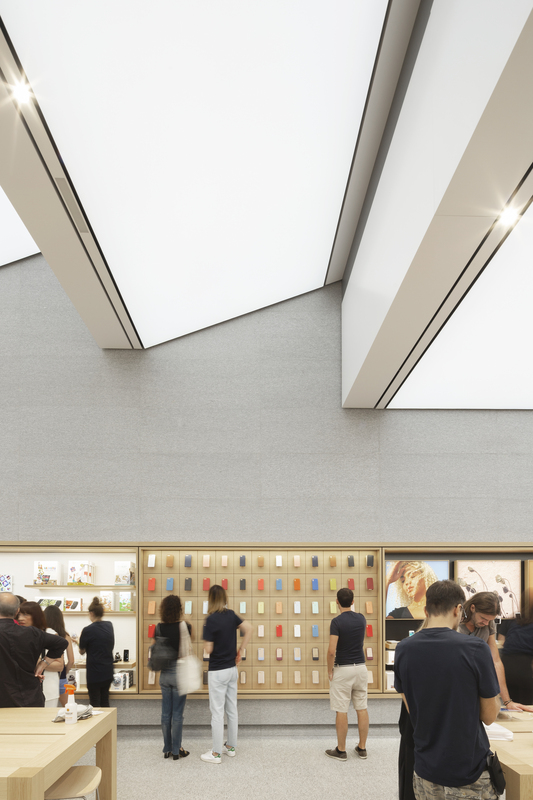 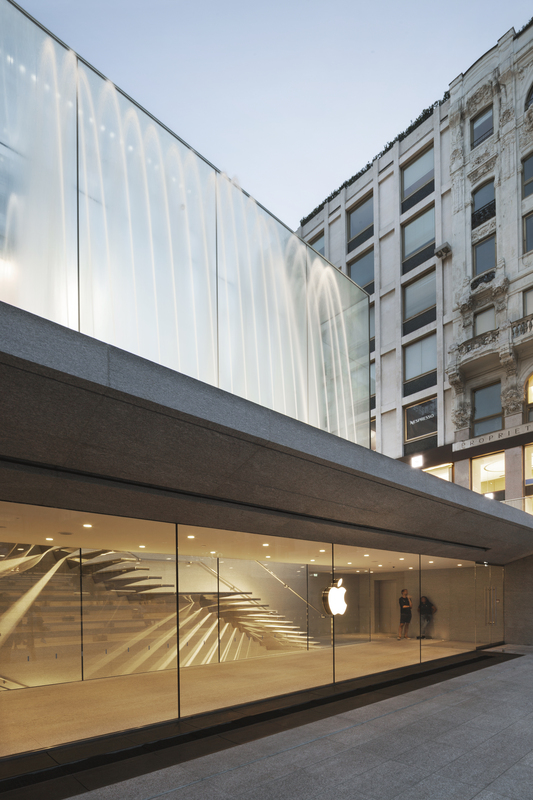 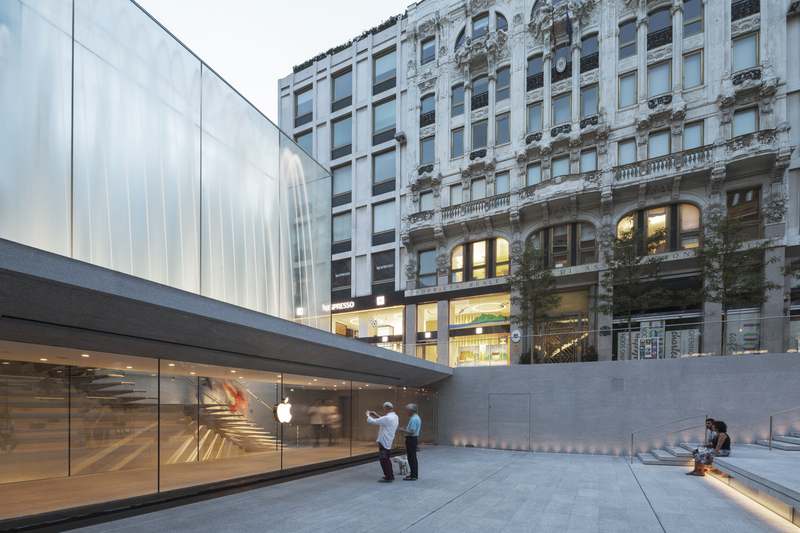 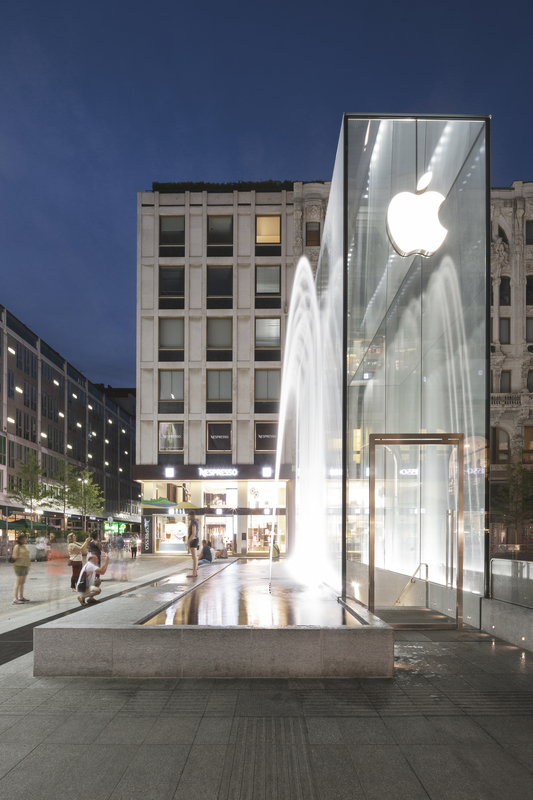 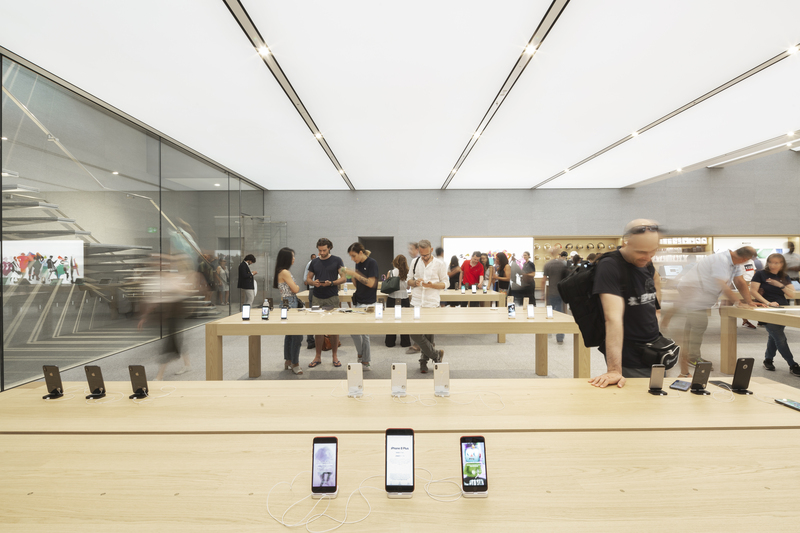 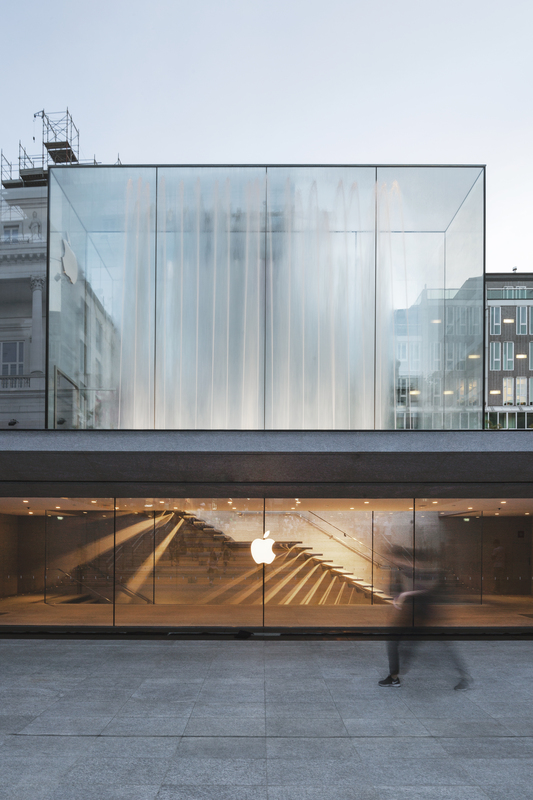 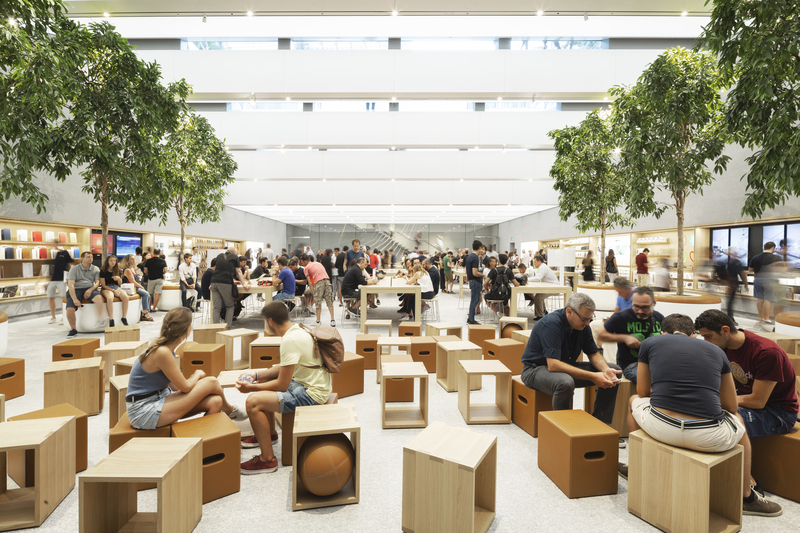 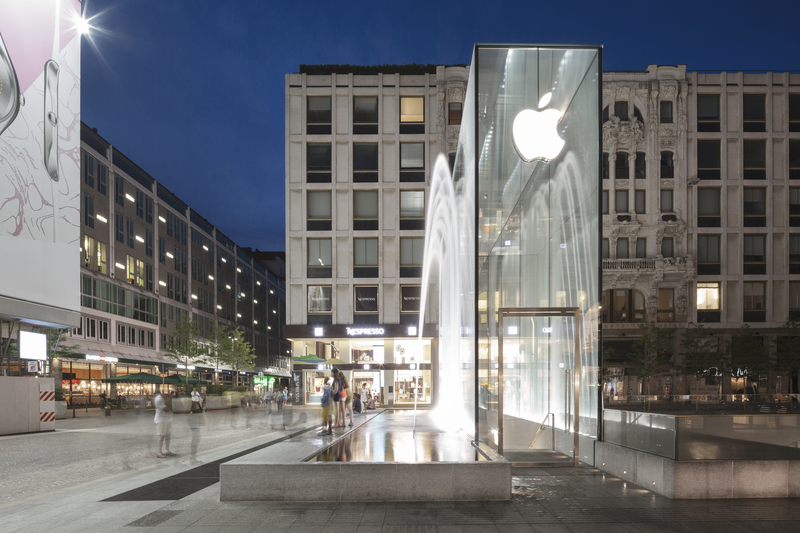 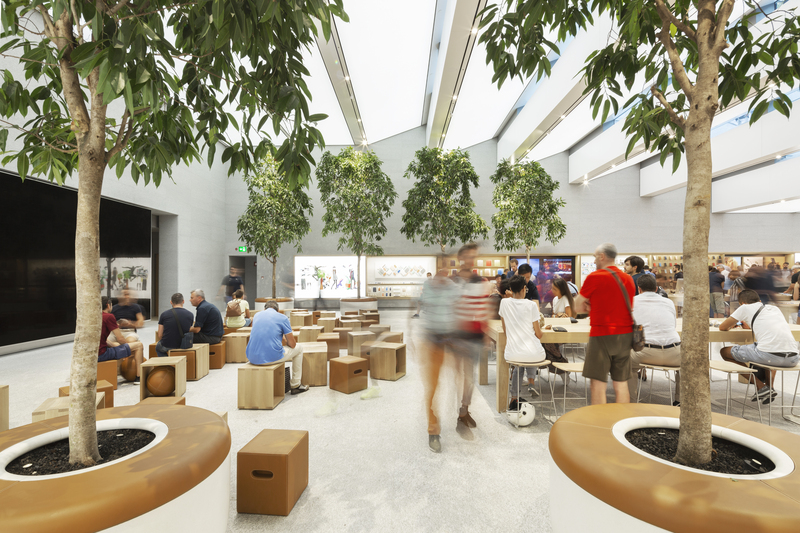 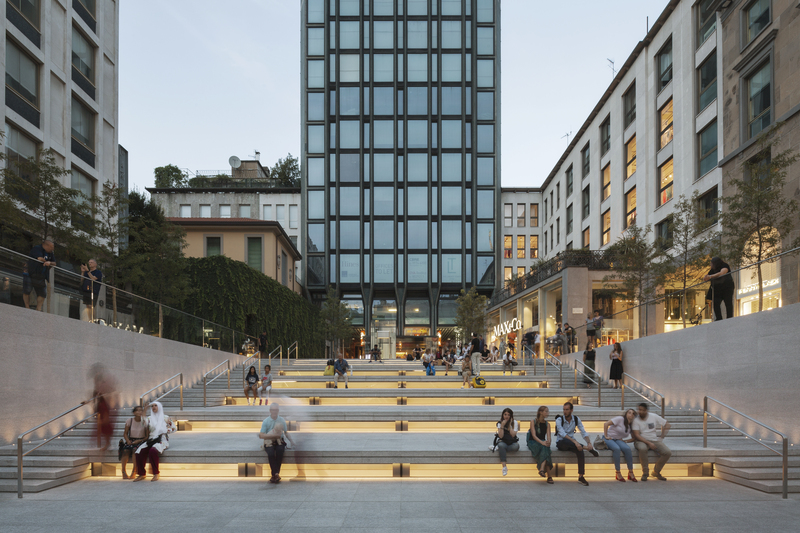 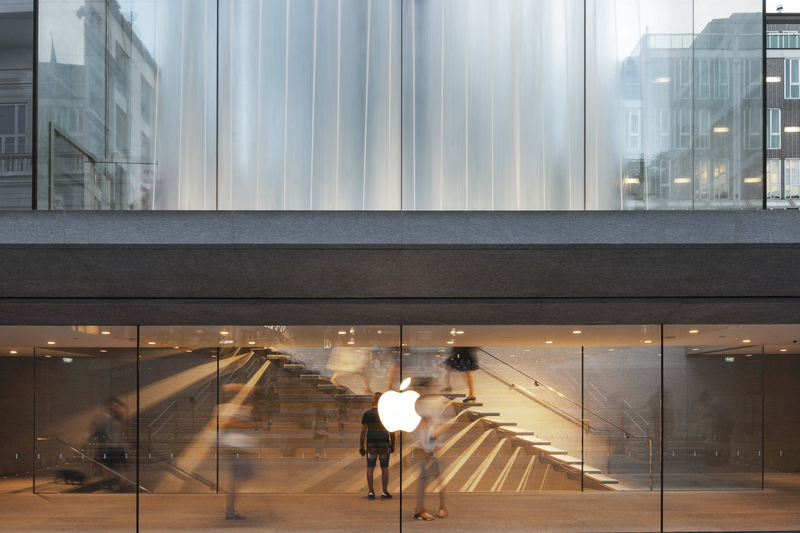 The project is another example of the close collaboration between the design team at Apple led by chief design officer, Sir Jonathan Ive and Angela Ahrendts, senior vice president of Retail and Online Stores and Foster + Partners. 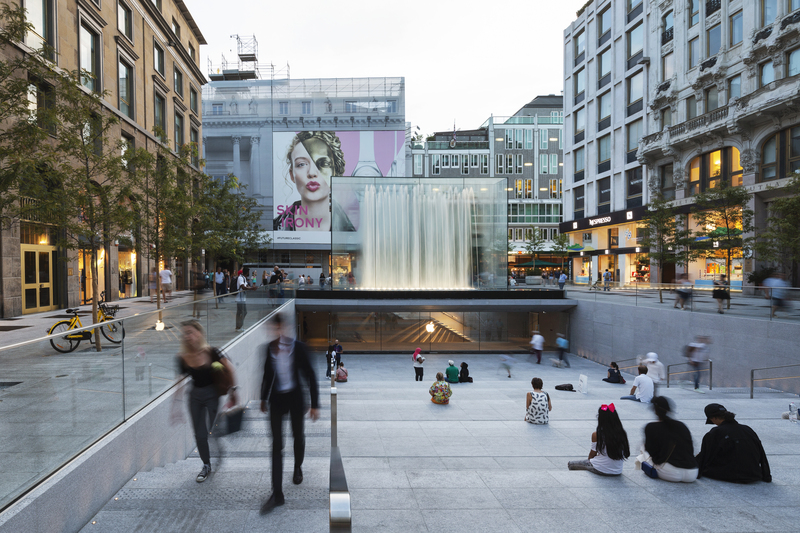 A celebration of the joys of city life and embodying its dynamic nature, the signature water feature is an interactive, multisensory experience. 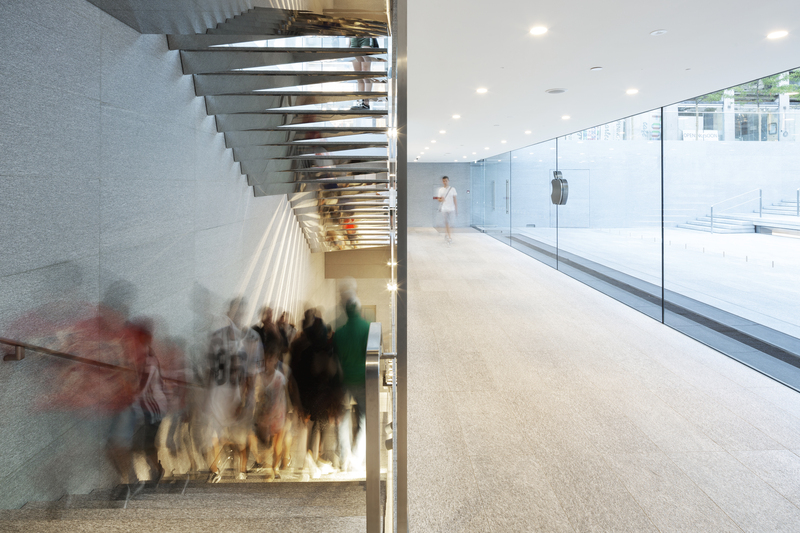 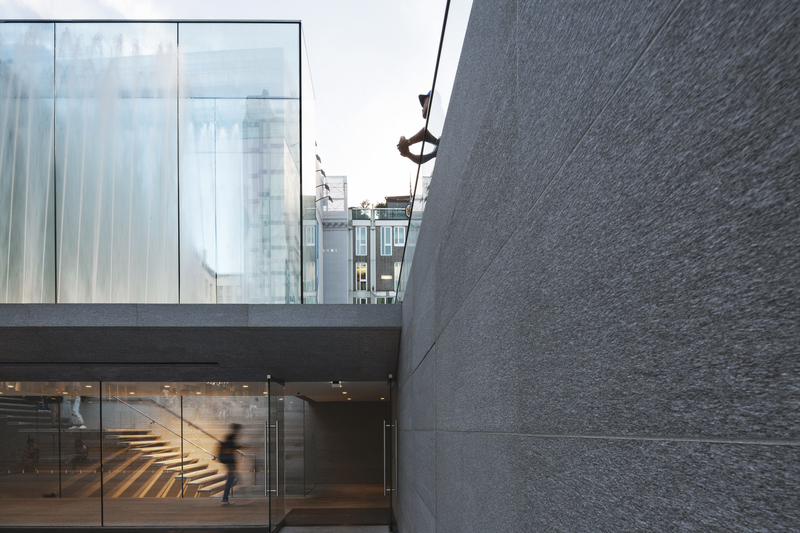 Visitors enter the fountain through a glass-covered entrance enveloped by the sights and sounds of vertical jets of water that splash against the 26-foot high glass walls. 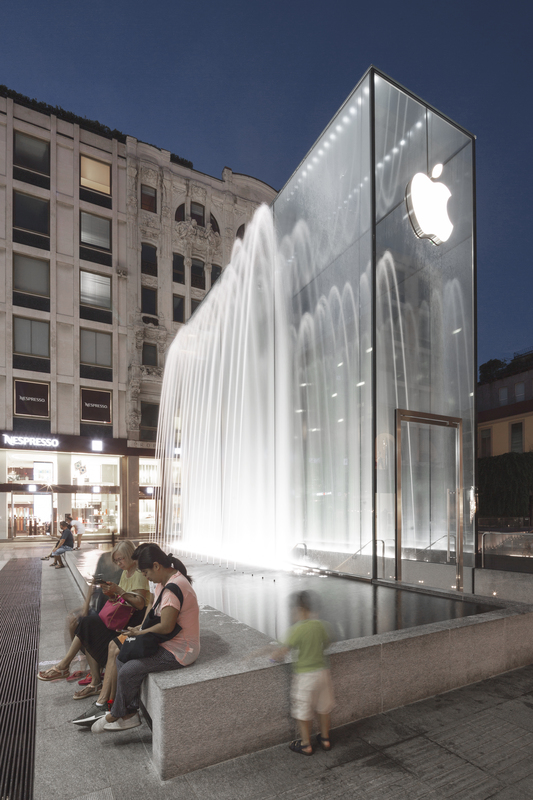 An immersive recreation of the childhood game of running through fountains, the experience changes throughout the day as sunlight filters through the water, while at night the glass ceiling creates a kaleidoscopic effect, with the water falling down the walls, and its reflections travelling infinitely up the sky.